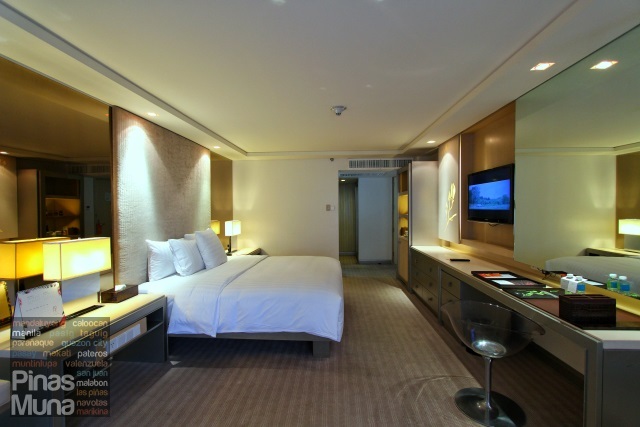 Midas Hotel & Casino is a deluxe hotel featuring 227 well appointed guest rooms and suites. 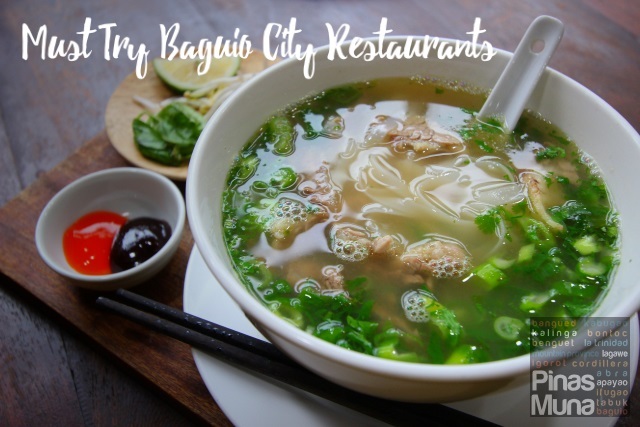 The hotel is conveniently located along Roxas Boulevard, near the corner of EDSA, and right in between the Japanese Embassy and San Juan de Dios Hospital. 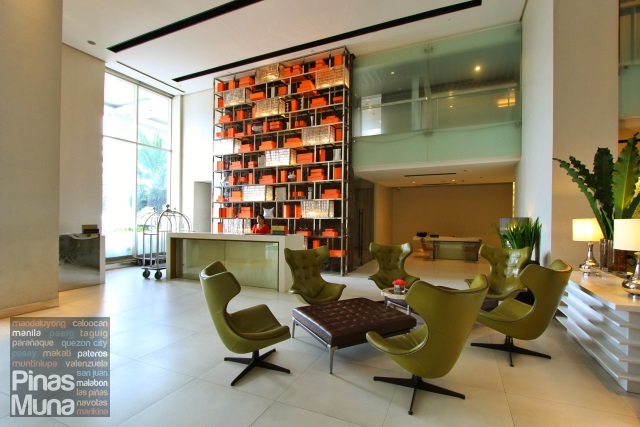 The iconic building was designed by National Artist Architect Leandro Locsin. 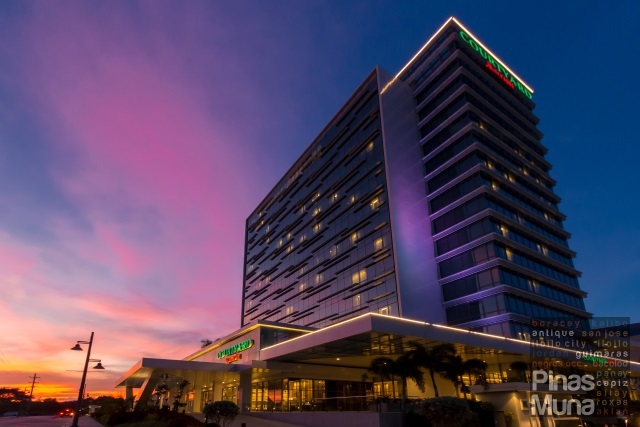 From the time it opened in 1965 as Sheraton Philippines, the hotel has undergone several rebranding and renovation works. 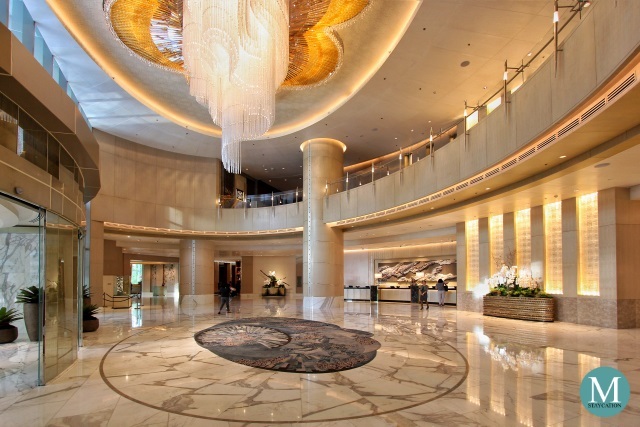 Midas Hotel & Casino formally opened in 2010 and is currently under the management of Enderun Hospitality. We arrived at the hotel around 1:45pm right on time for the standard 2:00pm check-in. 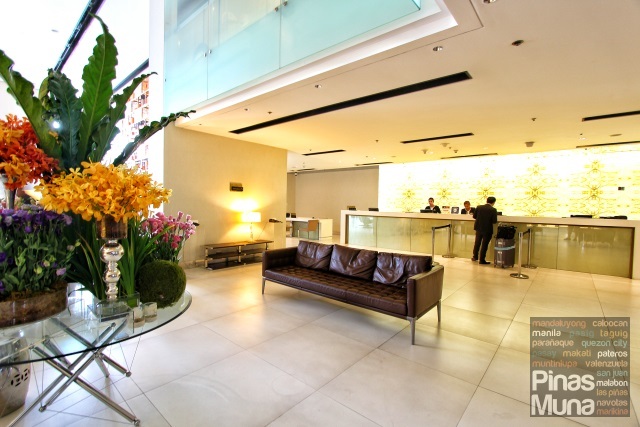 We went straight to the front office and provided our identification cards for check-in. 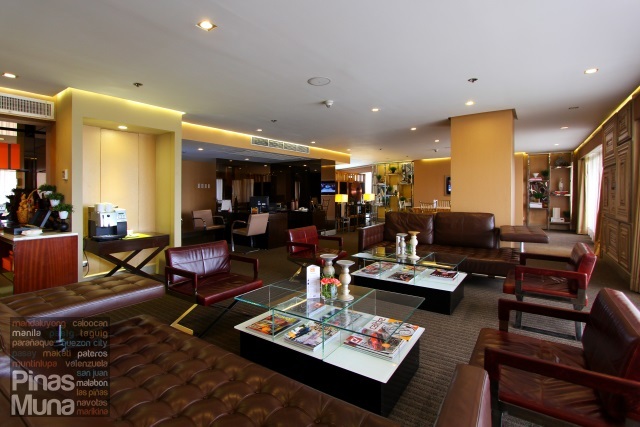 Since we were booked to stay in an Executive Room, we were assisted by the hotels front office manager to the executive lounge where our check-in will be processed. While waiting for our room to be ready, the Executive Lounge Attendant briefed us through the amenities available for us at the Executive Lounge. Although we arrived too early for check-in, we didn't have to wait long for our room to be ready. 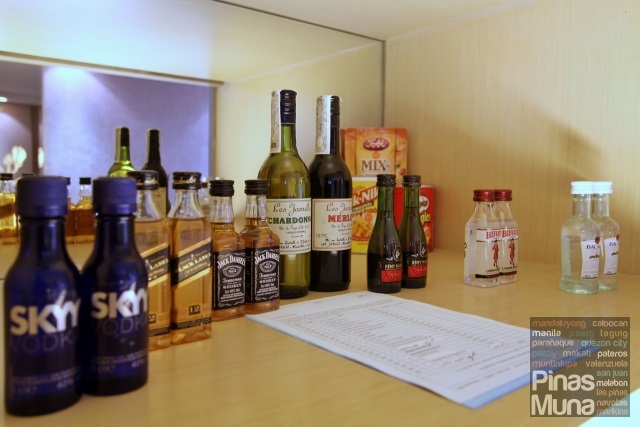 From the Executive Lounge, the Attendant showed us the way to our room and introduced us to the features of our room. We spent our weekend staycation in an Executive Room located on the 8th floor of the building and facing the Boulevard side of the hotel. Measuring about 37sqm., the Executive Room features a modern adaption of classic royal elegance in design characterized by the light shades of earth colors matched with warm lighting, and metallic accents of gold and silver. 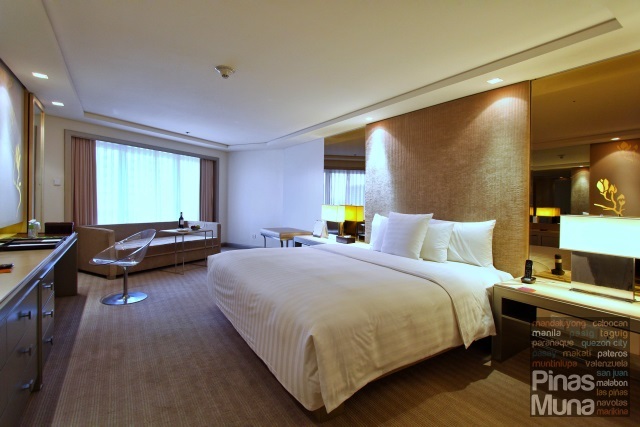 Our room is furnished with a king-size bed which is one of the most comfortable beds we have tried in Metro Manila. Super think and fluffy mattress topper will make you feel sinking into the bed that perfectly adjusts to the contours of your body while the mattress provides support to your body weight, resulting to a very comfortable sleeping posture. The goose-down duvet will keep you cool throughout the night. 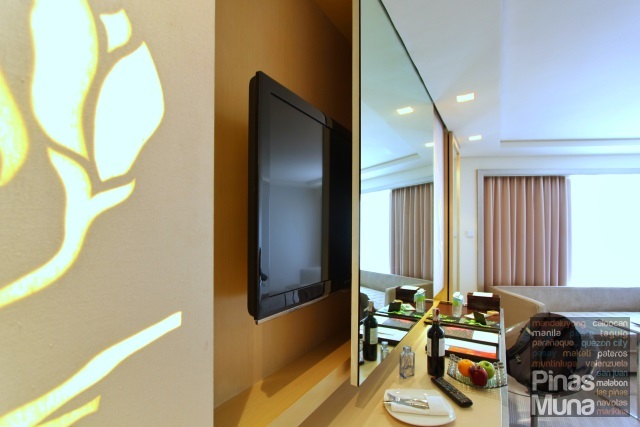 Our room is equipped with an LCD TV with cable channels which is smartly concealed behind a sliding mirror wall. 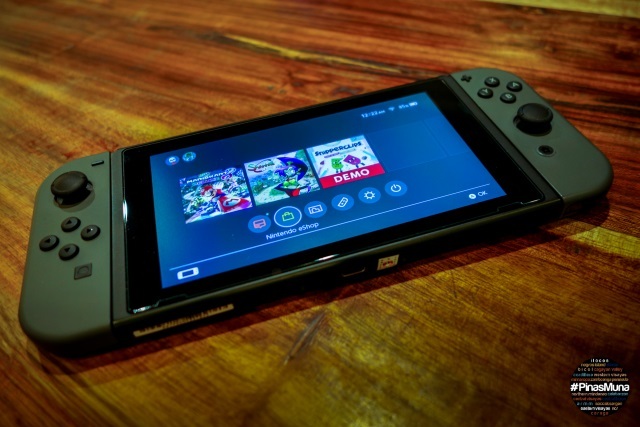 Other room amenities include an individually controlled air-conditioning unit, telephone in NDD and IDD access, high-speed internet connection, an in-room safe, coffee and tea making facility and a fully stocked minibar. The bathroom in the Executive Room offers a decently spacious room for one person to move around. The lavatory has a single sink with a well back-lit mirror. 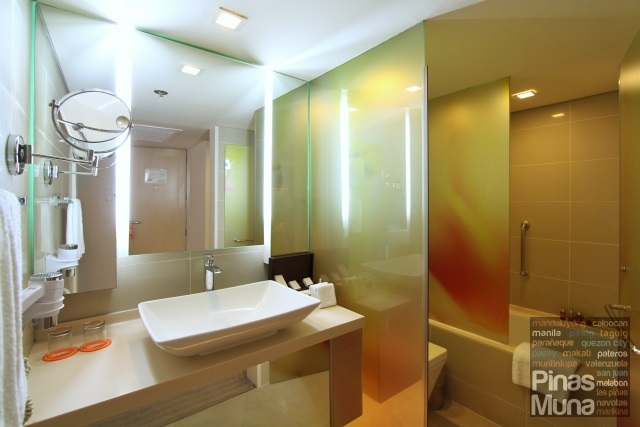 A frosted glass wall and door provides extra privacy to the toilet and bath areas. 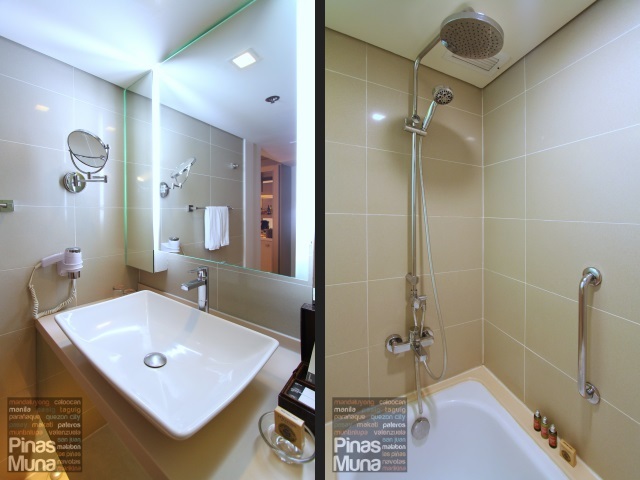 There's a bathtub & shower combination installed with handheld and rain-shower heads. Hot and cold water is available both at the sink and at the shower. Water pressure was consistently strong throughout our stay. The flush toilet is installed with a bidet. 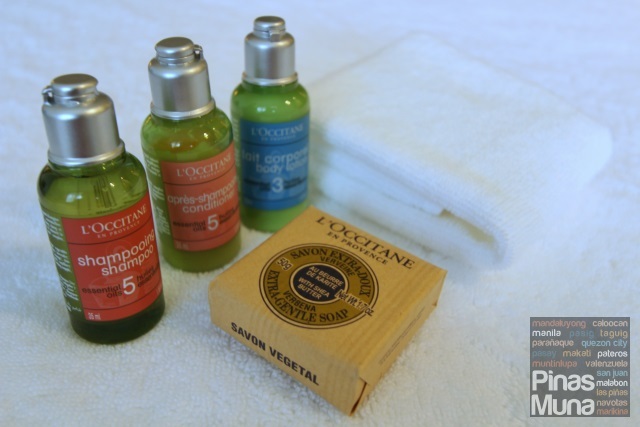 Fans of L'Occitane would be pleased to know that L'Occitane branded body and bath amenities are provided to Executive Rooms which adds more to the luxury feel of your stay. L'OCCITANE is a Luxembourg-based manufacturer of cosmetics and well-being products made with natural and organic ingredients sourced from France. 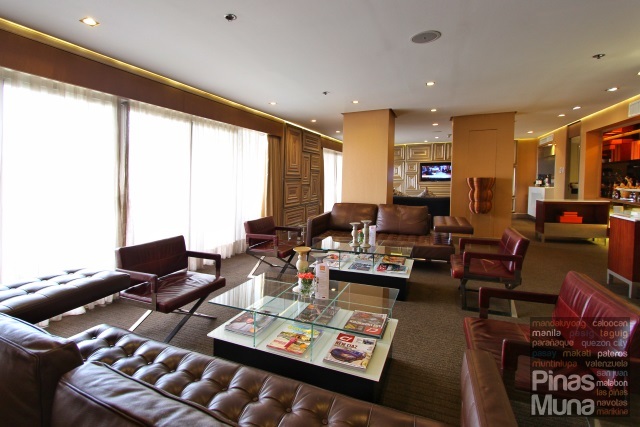 During our staycation at Midas Hotel & Casino, we spent most of the afternoon at the Executive Lounge where we enjoyed the company of two friends who were also staying at the hotel that time. 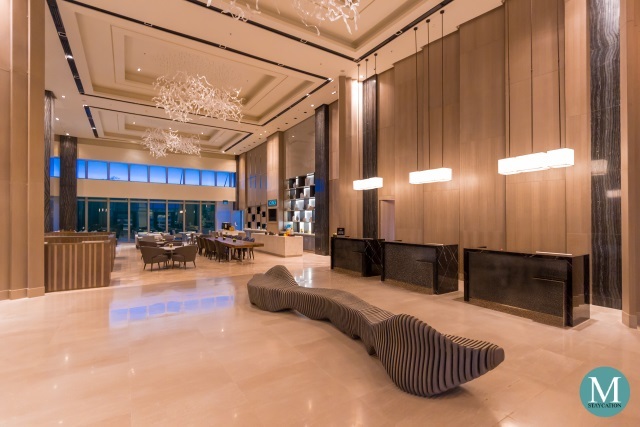 The Executive Lounge has a lot of seating areas featuring tastefully selected leather couches that offer a chic and exclusive setting for socializing. High speed wireless internet connection is also available in the lounge. 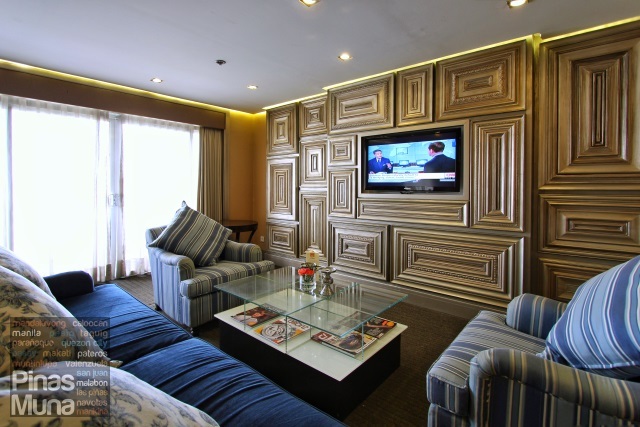 Our favorite spot at the Executive Lounge has got to be this set of blue couches which provide more comfort and relaxation over afternoon tea. We had our favorite TWG Earl Grey tea which we partnered with an assortment of tea sandwiches, pastries, cakes and macarons. Later that afternoon, we finished off the movie we were watching while enjoying some cocktail drinks and finger foods as well as some hot dishes. From the Executive Lounge, we went back to our room to freshen up and to get changed. Come evening time, we went down to the casino on the ground floor to try our luck with some games. It has been a fruitful night spent at the casino. We had a long day and so by 10:00pm, we were already back in our room and called it a day. 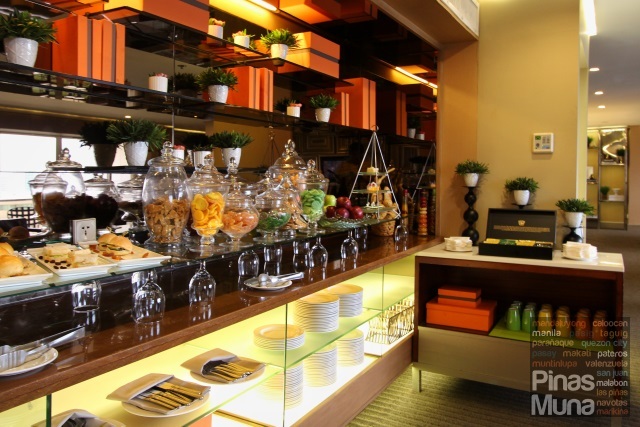 Because we stayed in an Executive Room, we can either have our breakfast at the Executive Lounge or at the hotel's all-day dining restaurant, the Midas Cafe. We chose the later because it had more food options. 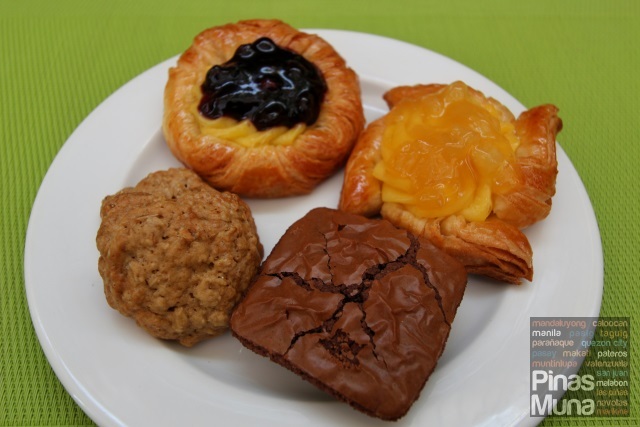 The buffet breakfast at Midas Cafe offered a wide selection of international and local dishes which includes a section for freshly baked breads and pastries, cereals, fruits and salads. There's also continental section. 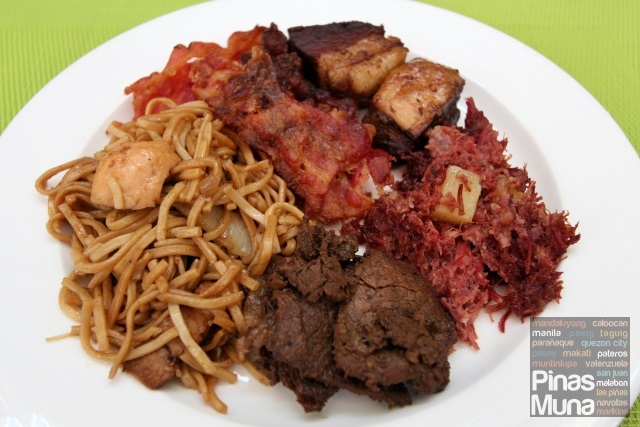 The buffet had a big selection of Asian and Filipino dishes since most of the hotel's guests are tourists from across Asia and local staycationers. Service at the restaurant was excellent. All guests were well attended by the staff. Dishes were constantly being refilled, our cups never go empty of coffee. The food selection was really good. 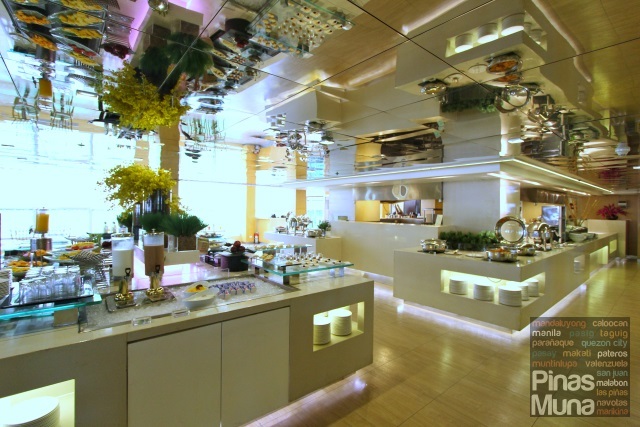 The place was well air-conditioned, plus the ambiance also adds to the overall experience. 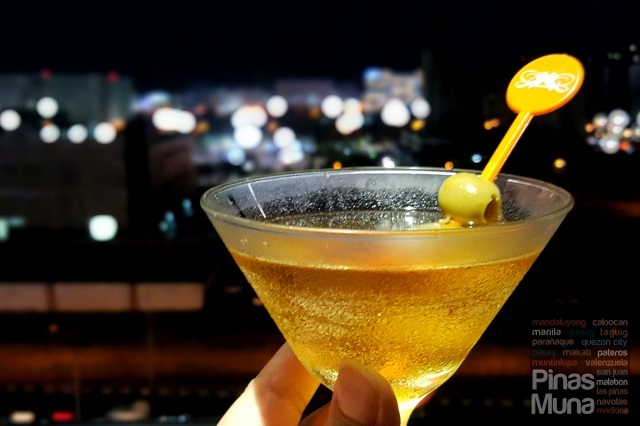 Our staycation experience at Midas Hotel & Casino absolutely met our expectations for a property managed by Enderun Hospitality. 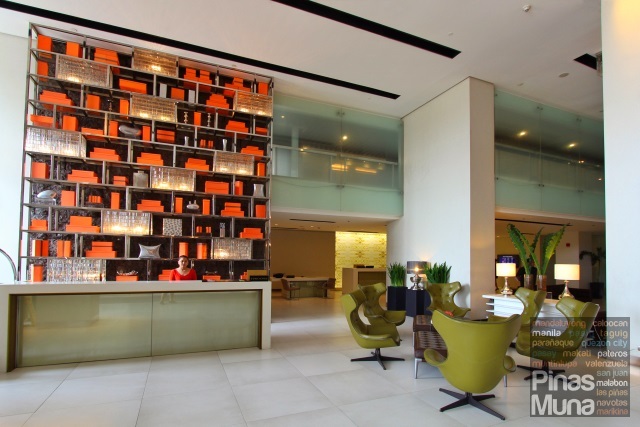 The level of service we received at Midas reminded us of our excellent staycation at Acacia Hotel Manila in Alabang, another property managed by Enderun. 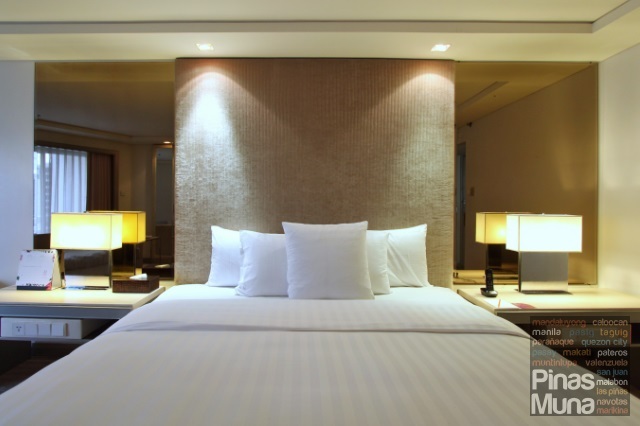 But most importantly, it is the sleep quality that made our stay at Midas a very remarkable one. I couldn't stress further how much we loved the super comfortable bed. Thanks to the complimentary late check-out (which comes as an added perk of staying in an Executive Room), we got to enjoy the bed up until 2:00pm.